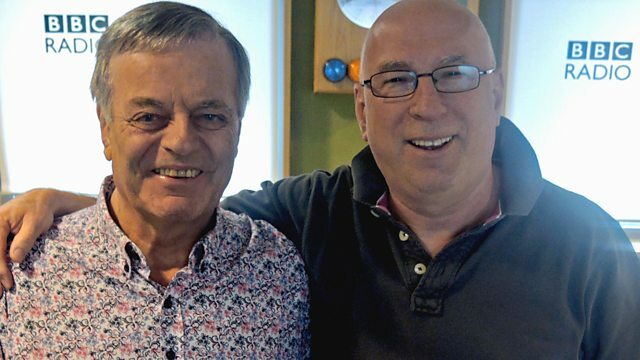 Tony Blackburn picks the Tracks of My Years, with songs from the Move and Diana Ross. Plus the daily Love Song, Record and Album of the Week and PopMaster. Tony Blackburn, the legendary Disc Jockey celebrates 50 years in broadcasting and picks the Tracks Of My Years, including songs from The Move and Diana Ross. Plus there'll be another round of PopMaster, the daily Love Song and Ken has the Record and Album Of The Week. You can contact the show, just email - ken.bruce@bbc.co.uk. Fantastic 80's Go For It! - Various. Now That's What I Call Music '86. America's Greatest Hits - Encore. The Very Best Of Spandau Ballet - The Story. Rock Of America (Various Artists). Play It Again Sam UK. 24 Karat Gold - Songs From The Vault. The 70's: 1979 (Various Artists). Enter Ken's fiendish music quiz on air or play along at home with the official scorecard. Visit BBC One's Eurovision site for all the latest on the annual song contest. Watch the best stripped-back live music from the Elton John piano. From PopMaster to Eurovision, here's why millions of people tune in to our Ken.